as glad as anyone to hear the news. and — clap your hands — the Peanuts Play School. William Penn not only wished his colony to be a refuge for fellow Quakers but for all people – even Jews, unheard of in the 17th century. As a businessman, he intended that Pennsylvania would prosper to the benefit of all landholders. Land grants were made to a number of families within what is today Philadelphia and the four surrounding counties of Bucks, Montgomery, Chester and Delaware. A road system was planned as early as 1683 connecting the new townships to the city creating the best and most extensive systems of its day. 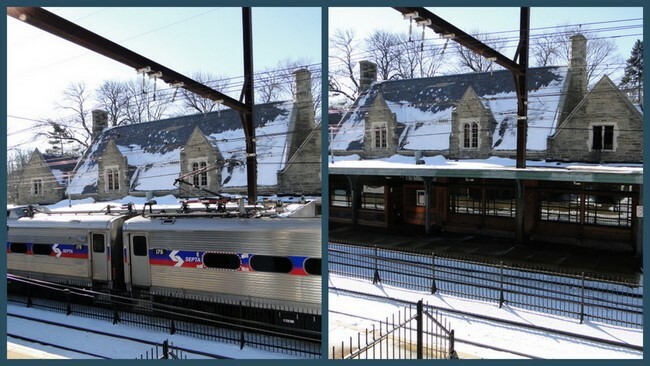 Germantown Avenue/Pike extended from Philadelphia – today’s historic square mile Old City – linking important communities such as Northern Liberties, Germantown, Chestnut Hill, Plymouth Meeting, Evansburg and Collegeville. Mennonites, Amish, Methodist, Presbyterians, Anglicans and Baptist all flocked to the new colony. The abundance of fertile land, water power, quarry and limestone brought the promised prosperity. 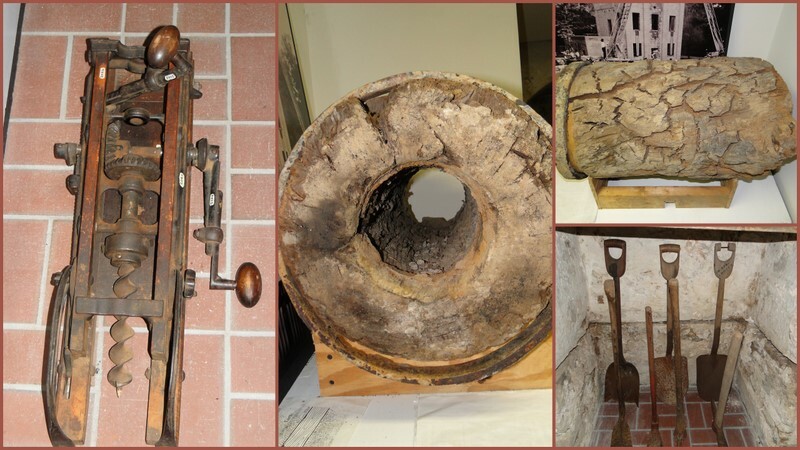 German farmers brought the technology of burning limestone in kilns into powder that fertilized the farmland. Yet would the same groups that may have been both persecutor and persecuted during Europe’s interminable religious upheavals cooperate to govern the new towns? Would the “holy experiment” work? Evansburg was a very early 1700’s planned community in religious cooperation. 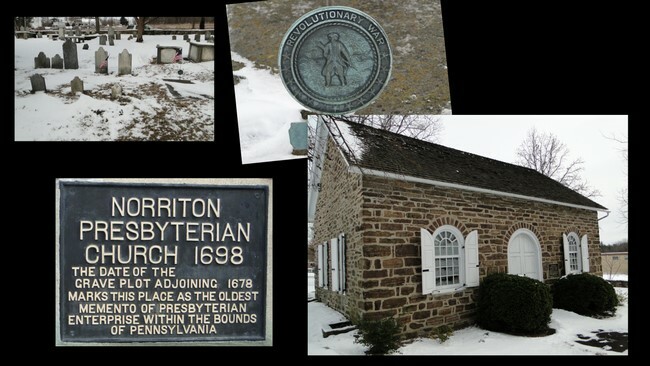 Although Plymouth Meeting (1702) served the needs of area Quakers, The 1698 Norriton Presbyterian Church is one of the oldest churches anywhere in Pennsylvania. The beautiful tiny stone structure is surrounded by an American Revolutionary cemetery. The new building for the congregation is next door. Quakers do not believe in proselytizing their beliefs, yet there was no issue when St. James Episcopal (Anglican) Church, 1721, established the Society for the Propagation of the Gospel. 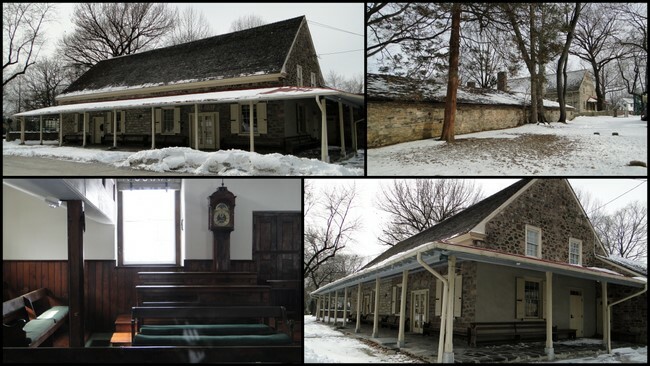 The above 1780’s building was a recreation of the 1721 log church. The cemetery holds a number of Revolutionary War soldiers who died in the Battle of Germantown. In 1838 the building became one of America’s first public school buildings. Today it’s the St. James Community History Center. 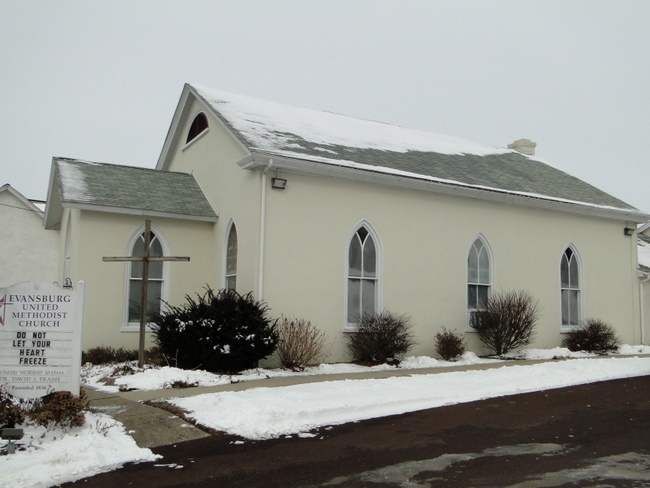 Their current 19th century St. James Church is across the street. Next door, at 3814 Germantown Pike, is the 1737 Glebe House. A “glebe house” was a self-supporting farm for the Anglican priests of the parish. 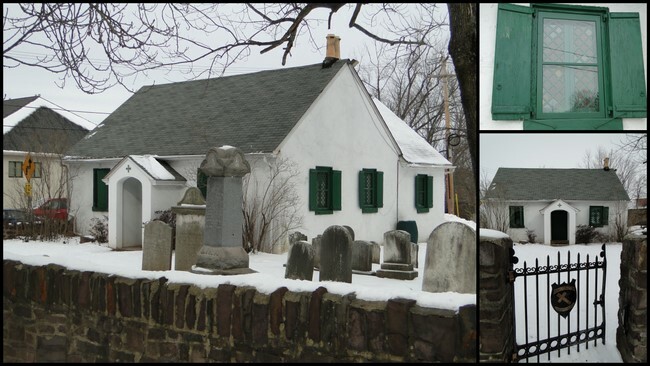 St. James’ is one of the earliest existing glebe houses in the American Episcopal Church. Stephen Rush operated an Inn in his house (1803) and later purchased the Evansburg Inn. Stephen was related to Dr. Benjamin Rush, signer of the Declaration of Independence. 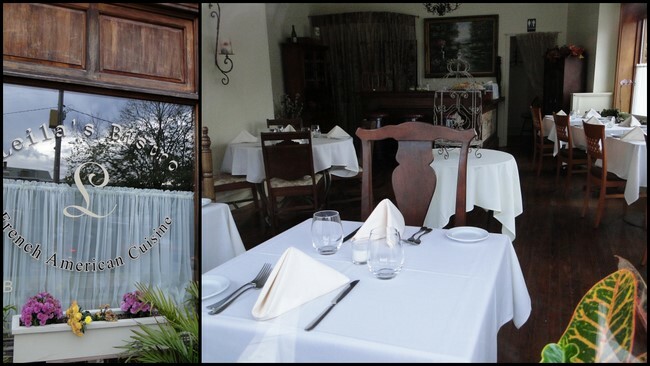 The Rush house is private today, but the former Evansburg Inn is still serving food and spirits as Osteria Restaurant, 3835 Germantown Pike. The Casselberry family is one of many that can trace their ancestry back to the founding of Pennsylvania, but are among the few still living on their original land. Henry Casselberry emigrated from Germany in 1683 settling in Evansburg in 1729, towards the end of his life. 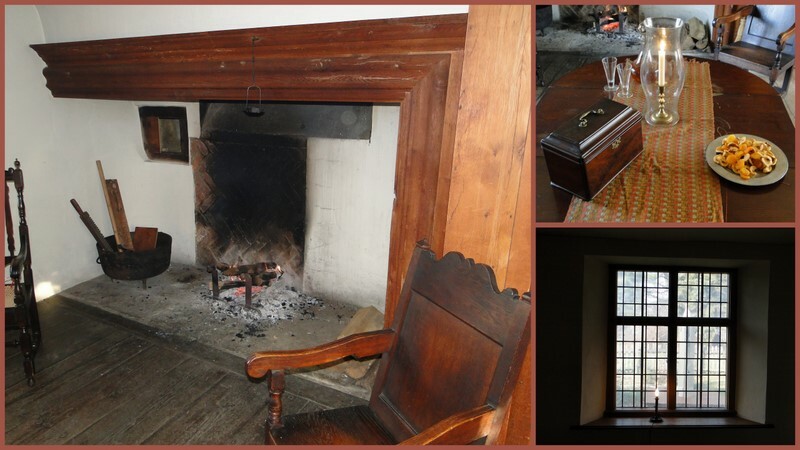 His son Derrick created a prosperous farm with his inheritance and built a sizable house in 1734. 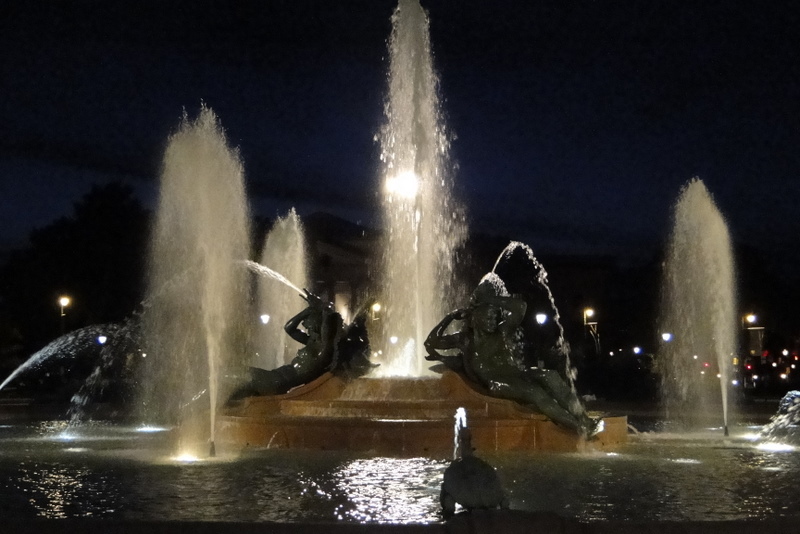 Now owned by a non-profit, it is undergoing restoration. A generation later, his daughter-in-law, Ann, purchased an elegant 1798 plaster-over-stone house and barn. The house, and barn, just north on Evansburg Road off Germantown Pike, is still the home of the Casselberry family. 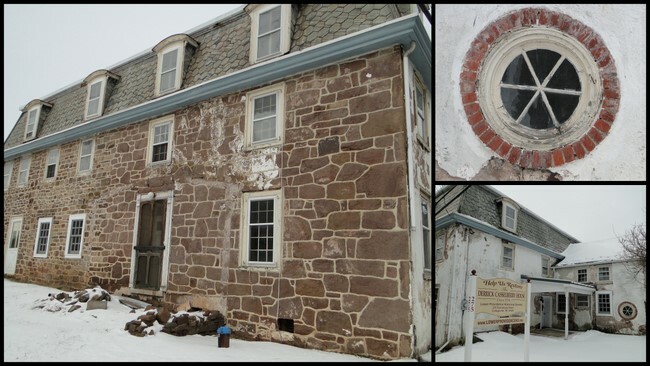 Heyser Homestead, 1742, private residence, includes original stone barn, kitchen house and smoke house. The waterways of the region provided both transportation and power for dozens of mills throughout Penn’s colony. 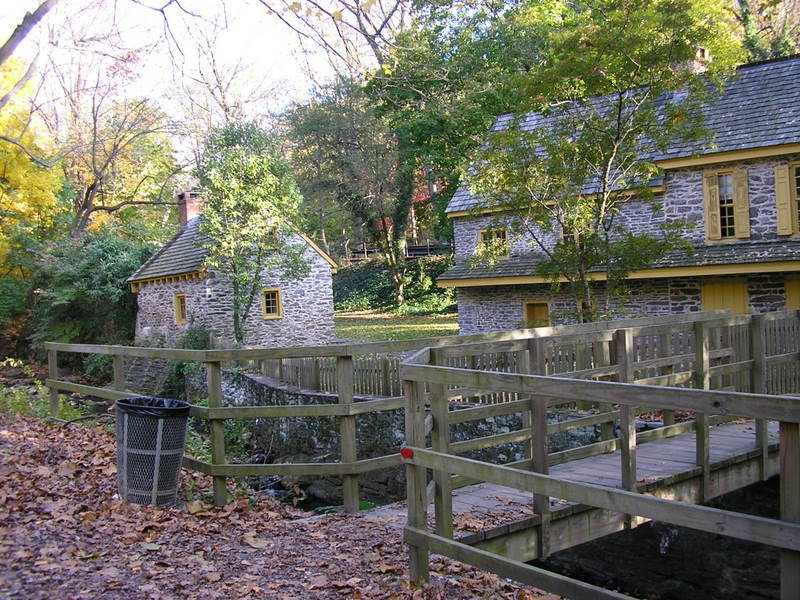 Skippack Creek in Evansburg State Park, which is the southern boundary of the town, provided the “fuel” for 18th and early 19th century industry such as Keyser’s Mill, now maintained by the Park. 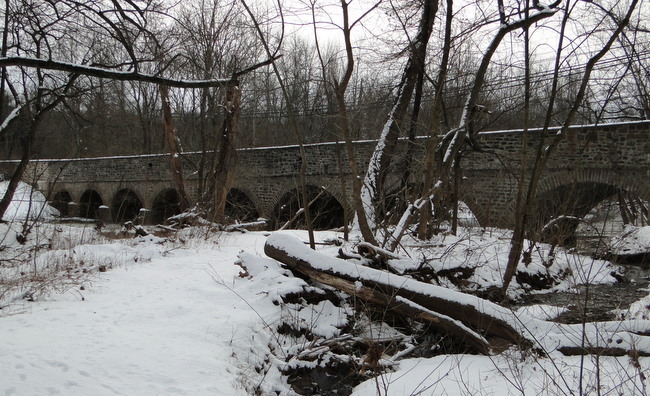 In 1792 an eight arch stone bridge on Germantown Pike was constructed over the creek. On the National Register of Historic Places, this bridge is still in use! It’s considered the oldest bridge of its size in America certified to support heavy traffic. If Evansburg is an example, William Penn’s Holy Experiment continues to succeed. Philadelphia and its surrounding counties – Bucks, Montgomery, Chester and Delaware – were all part of the original land grant of Pennsylvania that William Penn received from King James II in the late 1600’s. Having alienated his famous father, Admiral Penn, by associating with that “radical religious cult,” the Society of Friends (Quakers), William took his inheritance to establish a utopia of free speech and social equality in the New World. I grew up in historic Bucks County in the 1950/60’s when it had a population of 250,000 (over one-million in 2011) and there was so much open farmland I was always bored on a “dog-day” July afternoon because the world was so silent. It was a racially segregated society. There were some African-American families living in the county. Many worked on the large prosperous farms. My parents occasionally employed a local African-American resident (his family still lives in the area) to help around our 14-acres of (non-farm) land. He always had lunch with us, and he was always addressed as “Mr. …” – which was how we were taught to address adults. My parents were liberal Catholics. I was 11 years old when I lost my innocence concerning racial prejudice. An African-American farm-worker family enrolled their boys in our local Catholic school – the outcome was not pretty. I was shocked, horrified and puzzled at the racist reaction of my friends and their parents. The boys didn’t last long. It was the beginning, for me, of life-long realities. 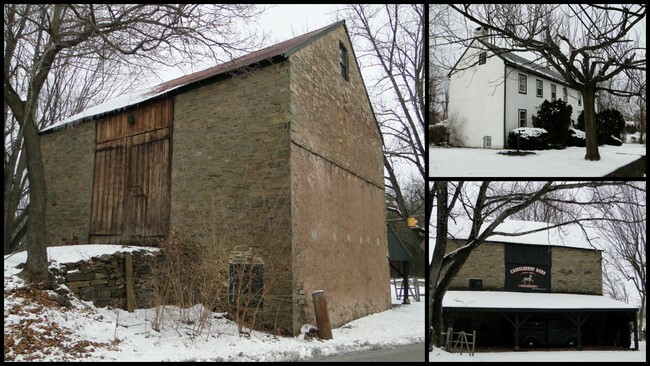 In the 1860’s, Cheltenham Township, Montgomery County, consisted of large Quaker-owned farms. 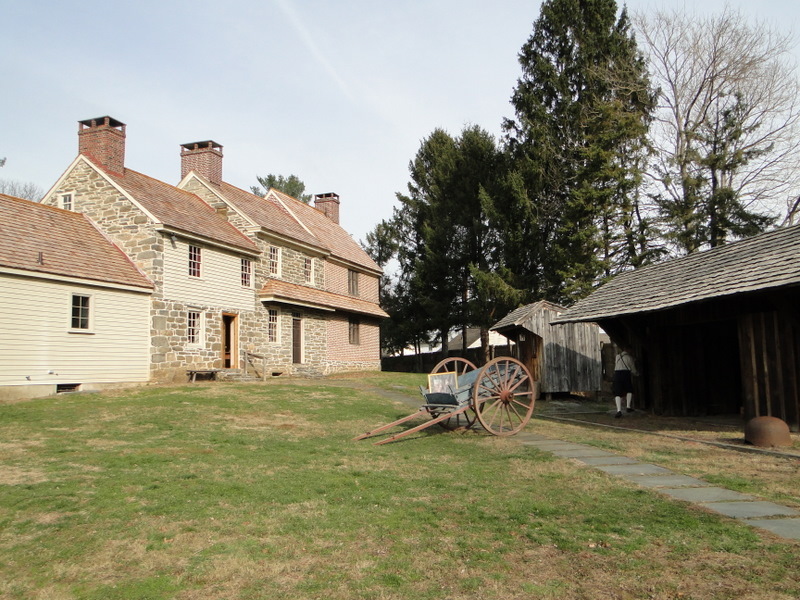 It became a favorite location for wealthy Colonial Philadelphians to establish country farm/estates. By the Civil War, 1860-1865, the area had attracted both the interest of wealthy investors and the Federal Army. 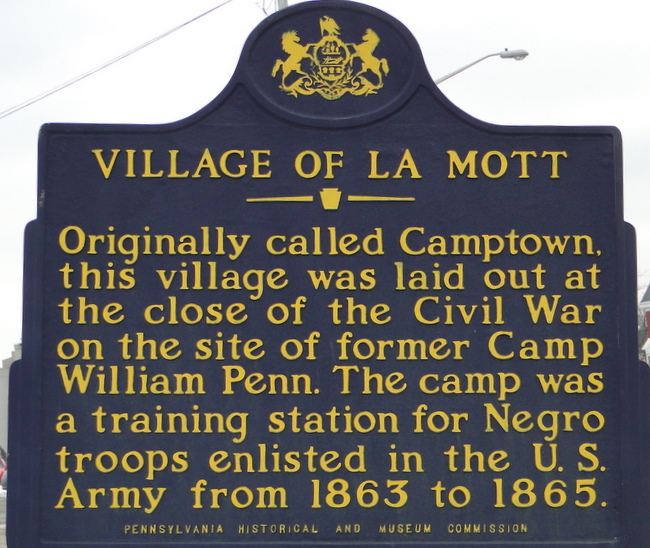 Camp William Penn was created as the first, and only, Civil War training camp for Black soldiers. The site was deliberately chosen because, being within a Quaker community, there was less racial intolerance than within the city itself. 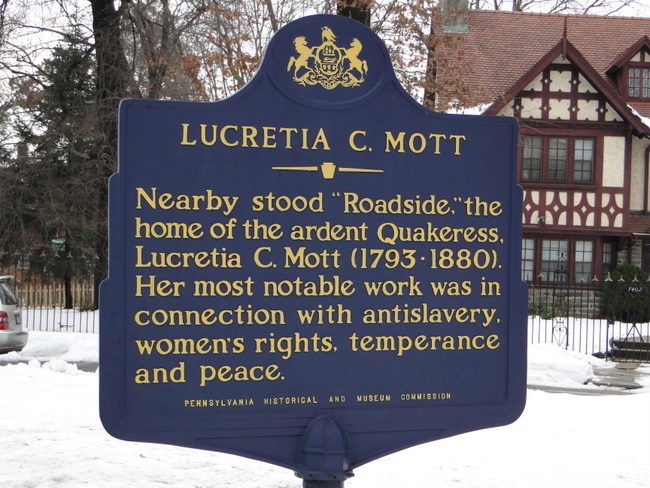 Lucretia Coffin Mott, born into a prominent New England Quaker family, settled in Philadelphia with her husband in the 1820’s and, with both their strong anti-slavery views, created one of the first anti-slavery societies in the country – as well as being a leader in women’s rights (Seneca Falls) and many other social issues. 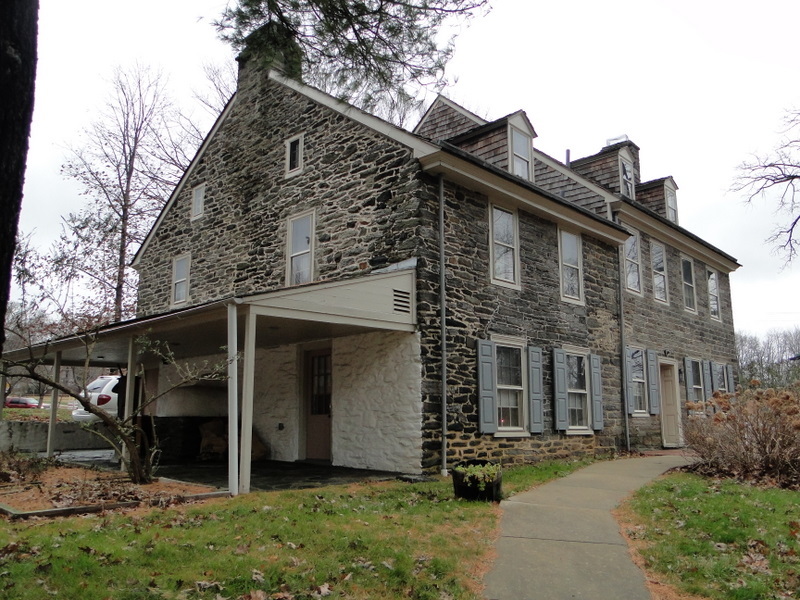 Her son-in-law, Edward M. Davis, was a wealthy Quaker who had a vast farm/estate in Cheltenham Township which she and her husband often retreated to when their home on 3rd. & Arch in the city became too frenetic. After the Civil War, Cheltenham became the focus of intense real estate development among wealthy Philadelphians – many non-Quakers: P.A.B. Widener, William Luken Elkins, John Wanamaker. With Quaker influence, a unique development formed. 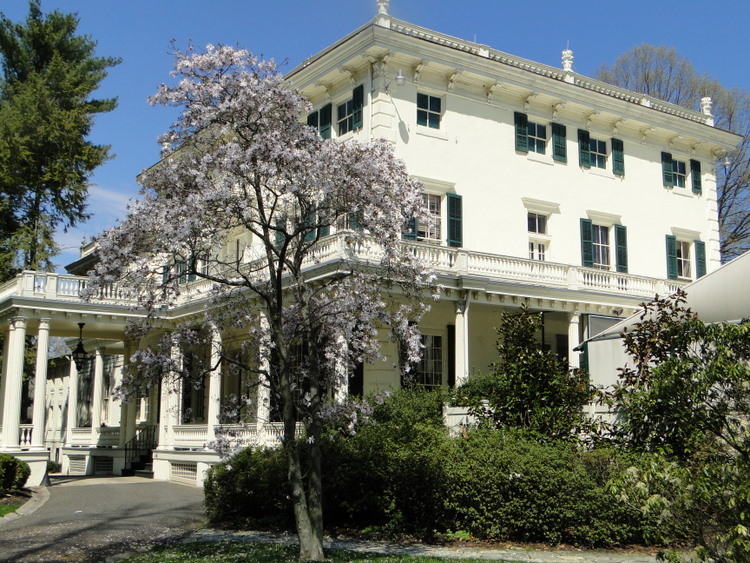 As these wealthy families built their own vast estates and developed such exclusive communities as Wyncote, Glenside and Elkins Park, the influence of the Davis and Mott families encouraged these non-Quaker millionaires to act with a social conscience. Davis and Mott set aside land from their estate for African-American families – many were workers on neighboring estates – to rent and own their own dwellings. In the 1890’s one of the first home owners was the butler to Mr. William Elkins. Architecturally, there is nothing interesting about La Mott. The houses are classic working class bungalows, row houses and twins that are found in all Northeast coast cities. Yet it’s the reality that such a neighborhood existed at all with the opportunity of home ownership in the late 19th and early 20th centuries that is remarkable. Of course, African-American’s were still segregated, and employers were the wealthy white residents of the Township. 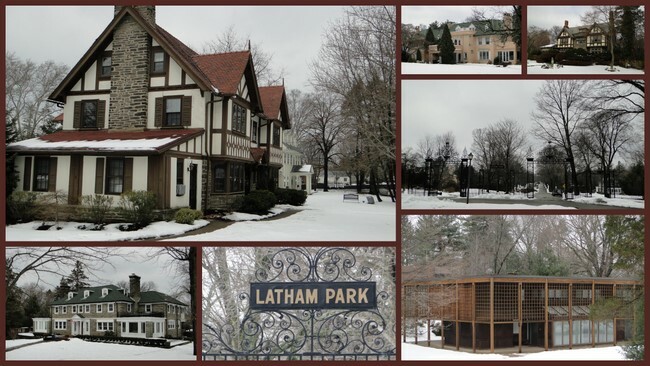 Right next door to La Mott, separated by an enclosed iron gate, is the still exclusive Latham Park in Elkins Park. This mile-long private boulevard is lined with spectacular examples of upper-class architecture of the early 1900’s, including a stunning mid-century modern (1972) currently on the market for $625,000. Even given the obvious racial/class differentiation of the past – although today more than one Black family owns a Latham Park house – La Mott Historic District represents a seminal social shift in American racial attitudes and is a prized symbol among Philadelphia’s Black community. I travel to far away places to visit UNESCO World Heritage Sites and in the United States to experience regions of historic significance with little regard to the reality that National Historic Districts are, literally, in my back yard. Twenty-nine, to be exact, are within Montgomery County, Pennsylvania alone. The most recent addition, in 1986, is a 10 minute walk from my house. 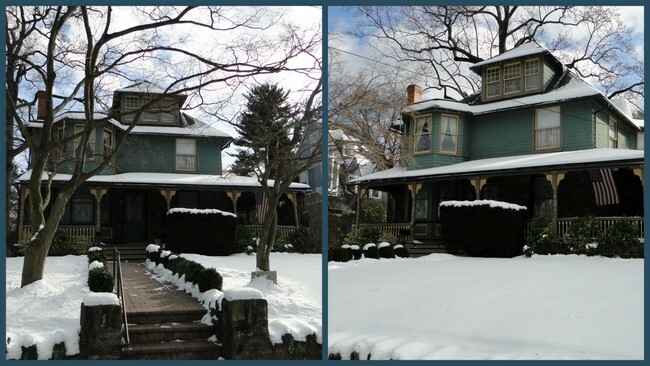 The Wyncote Historic District does not honor any battles. It hasn’t particularly lived through any traumatic events – unless one counts the entire 20th century. It didn’t start as a community of hardship that developed into a national inspiration. Wyncote was a late 19th century Philadelphia suburban (semi) planned community for the wealthy. 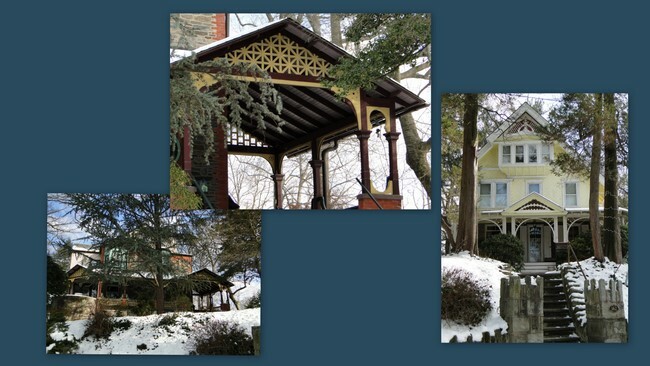 The Wyncote Historic District is a 108 acre area within Montgomery County’s Cheltenham Township ten miles north of downtown Philadelphia. Of the nearly 200 residential structures all but a handful were built between 1865 and 1934 – the golden age of Philadelphia’s industrial might – and designed by some of the leading names in architecture. 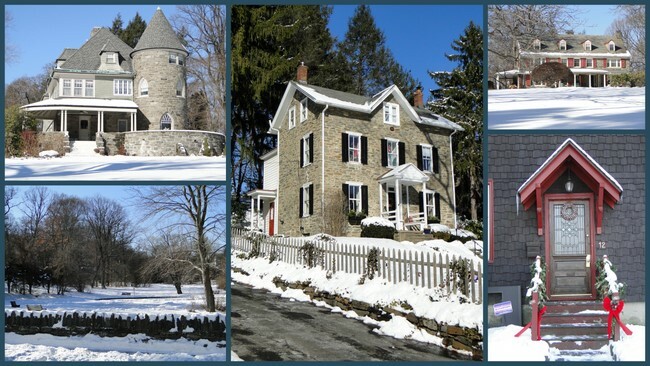 Prior to the 1850’s Cheltenham Township was a prosperous farming region consisting of land grants handed down by the Penn family in the 17th and 18th centuries. Even in colonial days, the area was a favored retreat from the city’s sweltering summers. Wealthy Philadelphians maintained country farm estates in this admittedly bucolic countryside or rented rooms and houses for the summer. The construction of the railroad linking Philadelphia with the coal-producing regions of northern Pennsylvania induced newly wealthy entrepeneurs, such as the Widener, Elkins, Tyler families to purchase large tracts of land for the dual purpose of constructing country homes for themselves and selling subdivisions to their friends and others of their class. 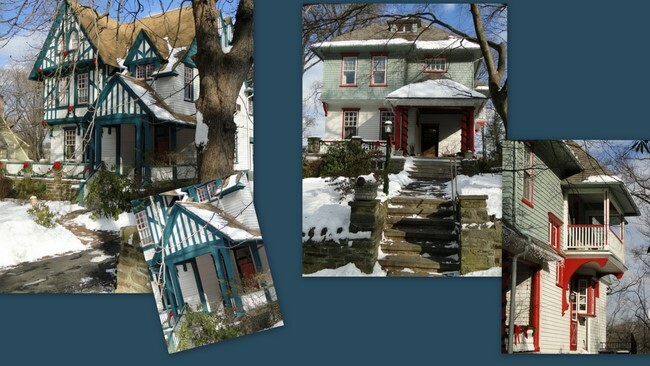 By the 1890’s the Wyncote Improvement Association was formed to ensure building codes, minimum house costs and lot sizes. Frank Furness, nationally acclaimed architect (Reading Terminal, Pennsylvania Academy of the Fine Arts) designed an exquisite little gem in 1898, All Hallows Episcopal Church. 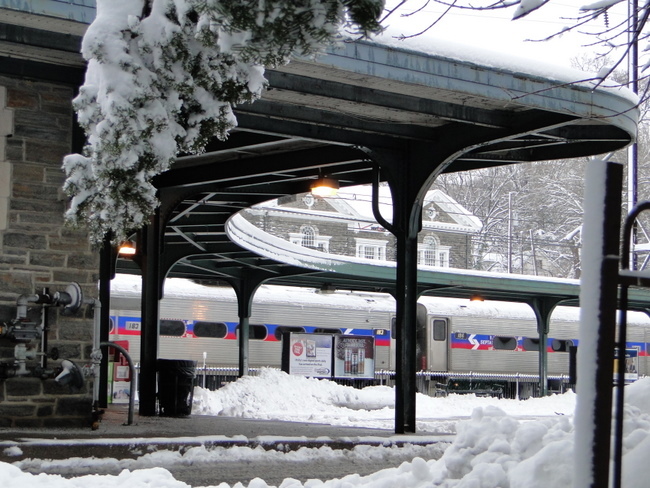 The then young Horace Trumbauer established his reputation with a number of houses in the district, and the Jenkintown/Wyncote Reading Railroad Train Station (still a busy commuter depot). Later in his career, Trumbauer would design some of the regions most stunning mansions, public buildings and commercial spaces. 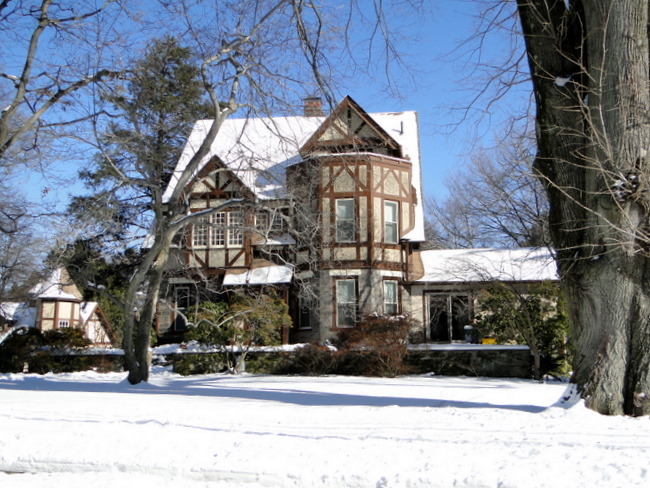 By 1915 most development ended and Wyncote had the reputation as an exclusive community of wealthy residents. People from the managerial and professional elite of Philadelphia as well as indusrty heads lived in Wyncote – the Proctor family (Proctor-Silex Electrical Company), Cyrus H.K. Curtis (Curtis Publishing, Saturday Evening Post, Ladies’ Home Journal) and the Lippincott family (book publishing). 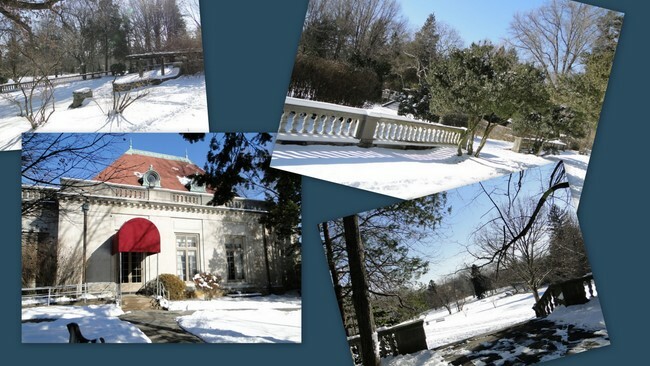 Mary Louise Curtis Bok, daughter of Cyrus, an accomplished musician and founder of the Curtis Institute of Music, constructed a private concert hall and arboretum on their Wyncote estate. The 45-acre arboretum’s landscape was designed by Frederick Law Olmstead (New York’s Central Park). 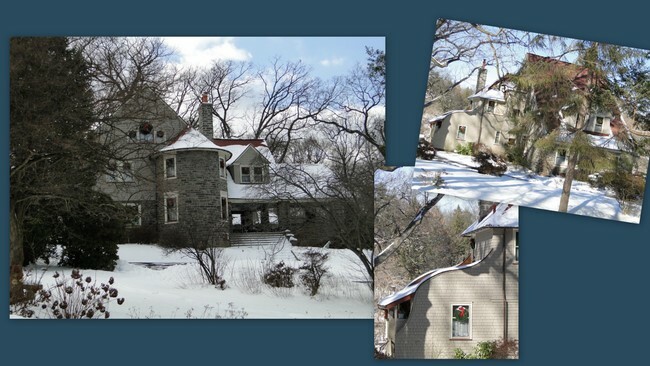 Curtis Hall and the arboretum were acquired by Cheltenham Township as a park in 1974. 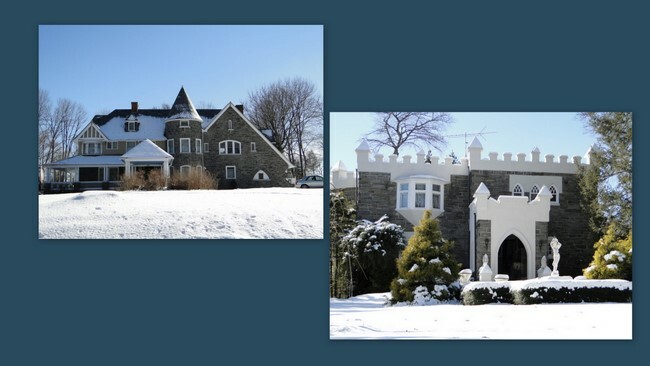 The architecture of Wyncote illustrates the new and increasing role of university-trained architects in the design of turn-of-the century, upper-income houses in suburban America. The majority of architects working in Wyncote received their professional training in the new School of Architecture at the University of Pennsylvania. Queen Anne, Colonial Revival, Tudor, Craftsmen, Victorian and even medieval castles were all part of the eclectic mix coupled with rolling hills and large landscaped lots. 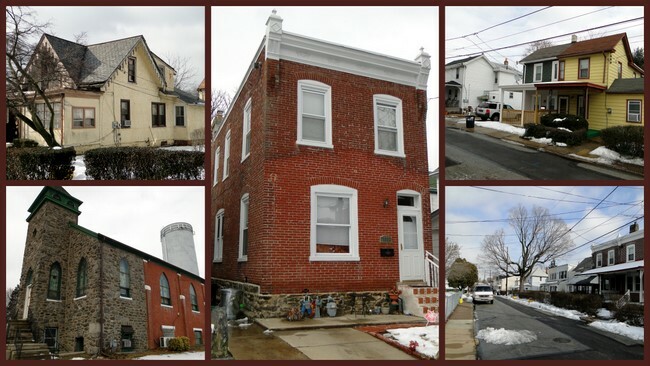 The 1986 designation as a Historic District was a major boost in preventing the decline and decay that take over so many older neighborhoods consisting of large houses that, let’s face it, require large maintenance costs. Pride in ownership is evident in the pristine condition of the district, despite high real estate taxes. This 1891 Craftsmen house with over 3,000 square feet, 5 bedrooms, etc, is currently on the market for $435,000 with annual real estate taxes over $10,000/year. Wyncote has always been a nice area for walks and many a dog, including mine, use Curtis Arboretum daily. 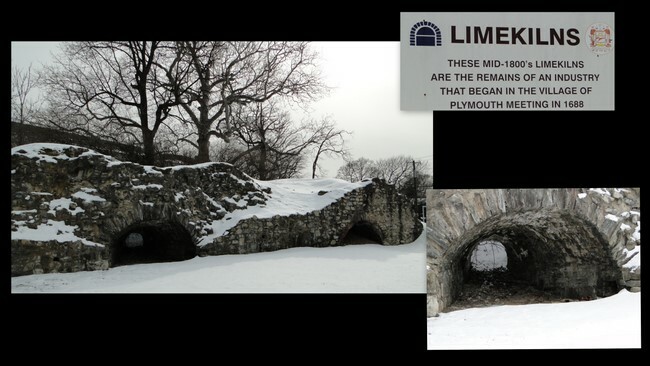 Yet how often does anyone think, “this might be significant?” Your own back yard – a heritage site? Who would have “thunk” it. Thanks National Register of Historic Places. 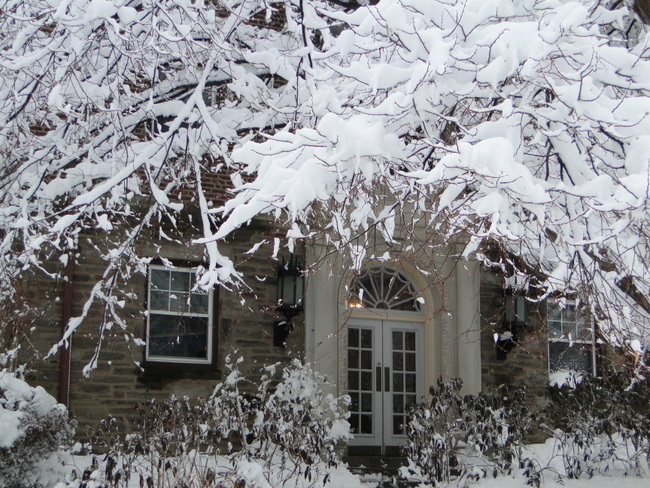 In 1937, while occupying the almost finished mansion, Raymond and Mildred opened Glencairn to the community for the first annual Christmas concert. Enlisting friends from the Philadelphia Orchestra, the Academy and Cathedral choirs, the Glencairn Sing continues to this day. 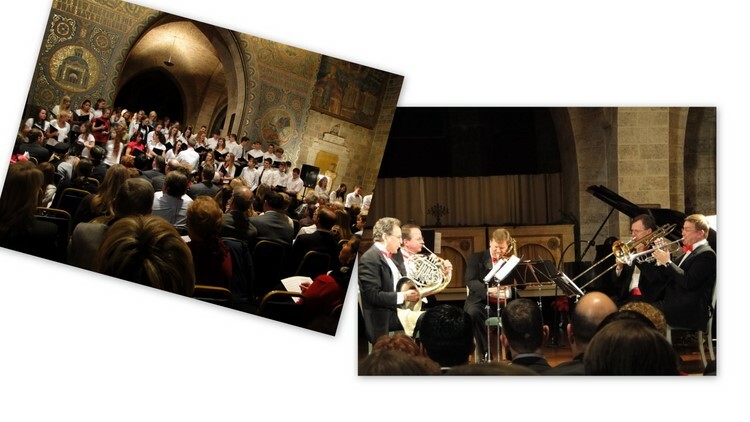 Set in the Great Hall, which seats 300, there are few venues more impressive in which to hear a concert. Leopold Stokowski, who played many concerts at Glencairn, praised the acoustics of the Great Hall. The Glencairn collection of nativity crèche is on display during the Christmas season and spans the centuries from early Medieval to the 20th century. Driving on Huntingdon Pike, just north of Philadelphia in Montgomery County, only the most jaded driver would not be impressed when Glencairn comes into view. The family home (1930s-1980s) of Raymond and Mildred Pitcairn, their nine children and 50 servants, Glencairn was intended to be more than just an ostentatious display of limitless wealth. Designed by Raymond Pitcairn in the Romanesque style of an early European medieval castle, Glencairn was to incorporate, display and bridge the historical continuum in art and design from the ancient world through the Renaissance. John Pitcairn, Raymond’s father and founder of PPG Industries, started the acquisition of a vast collection of ancient art in the late 19th century as part of his philanthropic support for the Academy of the New Church. 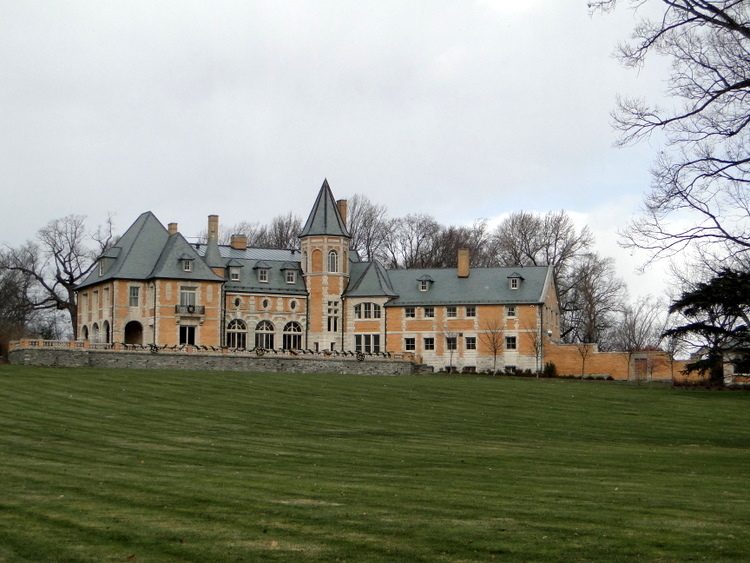 John had constructed his own mansion, Cairnwood, in the early 1890’s, but of greater significance was his funding of the Bryn Athyn Cathedral. 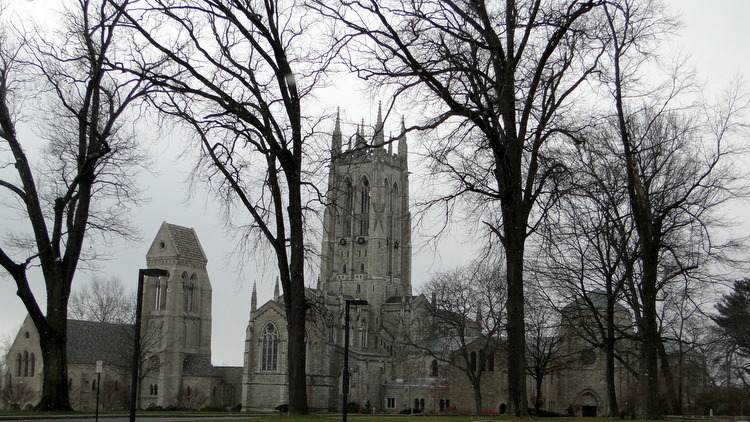 Everything in Bryn Athyn is more than it seems. John Pitcairn and other devoted believers in the teachings of Emanuel Swedenborg purchased the land that would become the Borough of Bryn Athyn in the Philadelphia’s suburban Montgomery County as an enclave for The New Church. With John Pitcairn’s vast wealth the Academy of the New Church (kindergarten through college) was established and in 1913 a unique building project was undertaken. John’s eldest son, Raymond Pictairn , had not only become fascinated with Byzantine and early medieval art but in the medieval way of life, especially the interaction between the patron of a great project and the artisans that built and crafted the structure. Collaborating with his father and the architects, Raymond oversaw not only the construction of the Cathedral from 1913 to 1928, but the creation of an entire medieval artisan village on the grounds of the estate. Hundreds of European and American crafts people worked and lived in the village from 1913 until 1939. 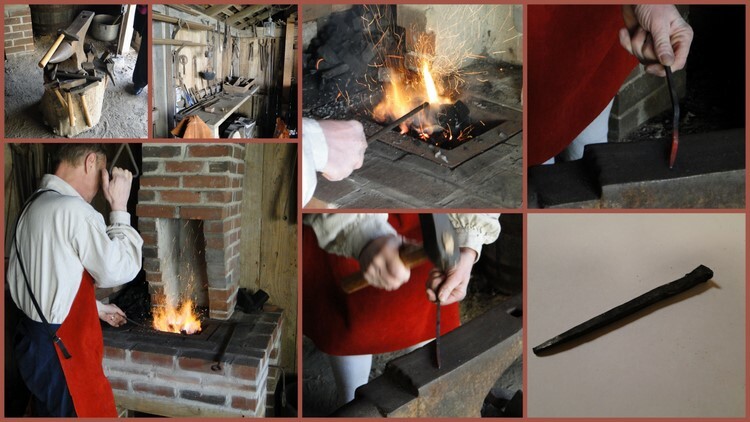 Craft shops were constructed for making authentic tools necessary to create every item. Everything from stone cutting to stained glass was done on site. From a design concept, the Cathedral structure has evolved from Romanesque through early Gothic. 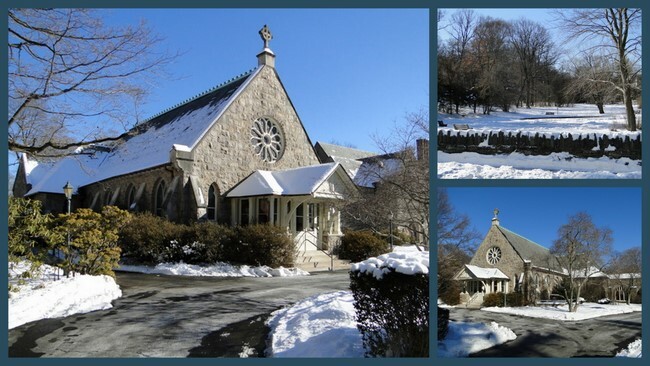 1928 marks the dedication of the Cathedral – although work continues in perpetuity according to the Pitcairn trust – and the beginning of construction on Glencairn. The story goes that Raymond was unhappy that the cathedral project was concluding so he decided to continue the process, and the life of the artisan village, by constructing his own castle. 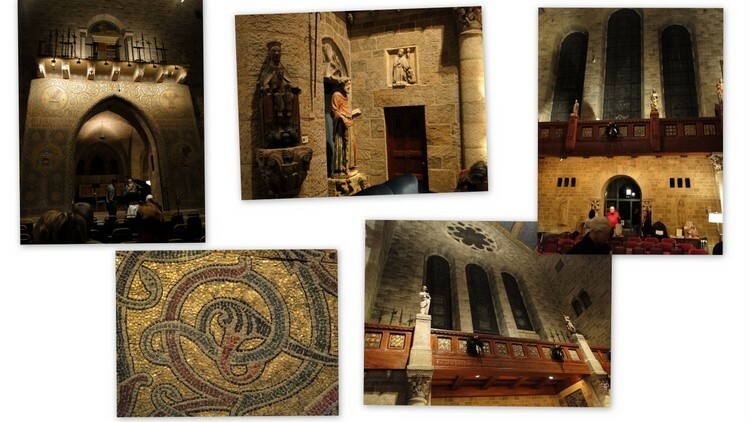 Glencairn would rise nine stories, and the 42,000 square foot palace would incorporate within its interior some of the greatest treasures of the ancient and medieval world while reviving such crafts as exquisite Byzantine mosaics. It would take eleven years to complete – 1928-1939. Glencairn, Cairnwood, and the vast art collection, were bequeathed by Mildred Pitcairn to the New Church in the early 1980’s. Glencairn today is a stunning house museum professionally administered. Among its collection are rare Southwest Native art and artifacts. Cairnwood hosts special events, but the Cathedral and the beautiful park grounds are both accessible to the public. If the Pitcairn’s represent the ultimate in what great wealth can devise, the gracious Delaware River mansion of Glen Foerd tells the story of Philadelphia’s 19th century Victorian merchant families. 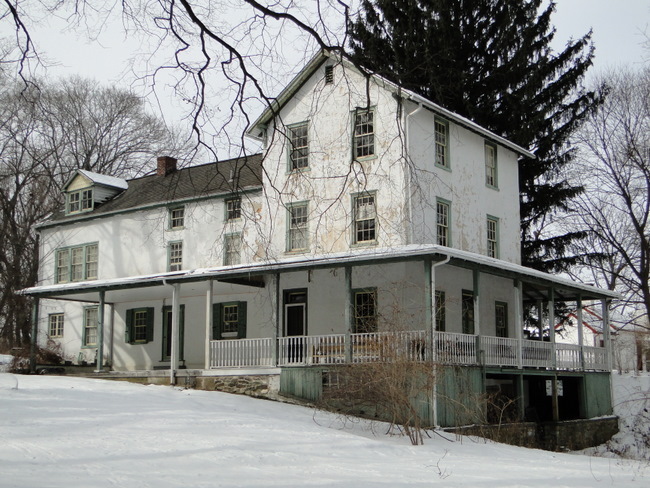 Built when the Torresdale area of Philadelphia was a bucolic enclave along the Delaware River, Glen Foerd was home to three merchant and manufacturing families. Charles Macalester, son of a wealthy Scots merchant, built the mansion in 1850. Charles, a staunch Presbyterian and philanthropist, founded the acclaimed Macalester College in Minnesota and Presbyterian Hospital in Philadelphia, now Penn Presbyterian Medical Center. Since 1975, Glen Foerd has been owned by a non-profit conservation corporation. The Delaware River mansions were the ultimate Philadelphia status symbol from the late 18th through the late 19th centuries. Often weekend and summer homes, they afforded a refuge from the hot, humid and disease ridden summers of Philadelphia streets. It was not uncommon for residents to travel by boat to each others’ estates. 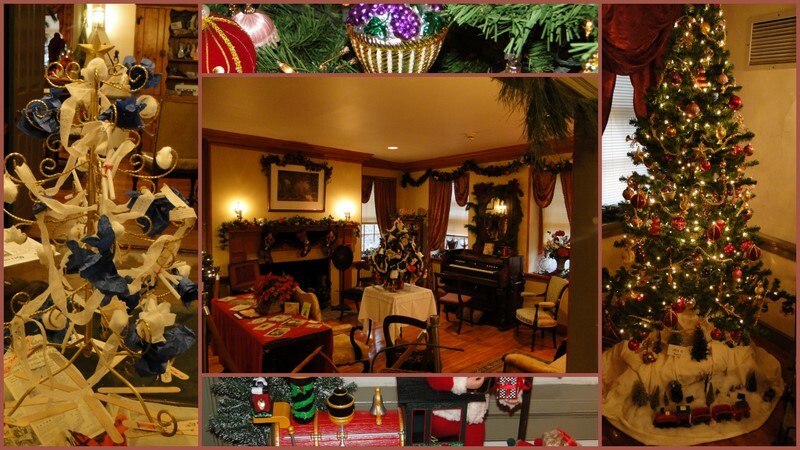 Christmas transcends history which makes viewing, and discovering, the holiday through the “eyes” of Philadelphia’s historic houses all the more interesting. 1 quart of cream, 1 quart of milk, 12 eggs, some sugar, 2 cups brandy, 1 cup rye whiskey, 1/2 cup rum, 1/2 cup sherry. And we thought all our founding fathers were Puritans? 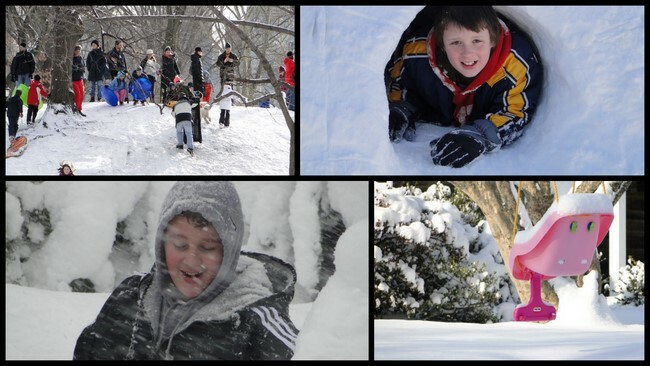 Anglican and Catholic Southerners did celebrate Christmas with considerable feasting, unlike the Puritan, Congregationalist, Quaker, and Mennonite Northern colonists but both traditions blended in the keystone colony of Pennsylvania. The prior history of the Delaware Valley and William Penn’s inclusive policies created an ethnic and religious mix not found in the other twelve colonies. Swedes, Germans, French Huguenots, Welsh among others settled and celebrated their traditions next to their simple Quaker neighbors. 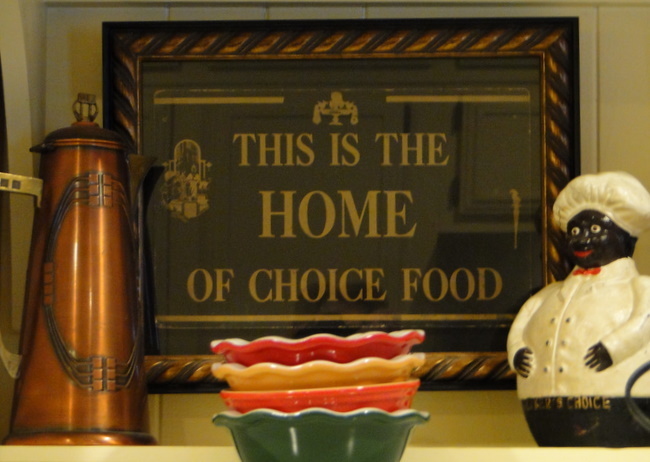 The prosperity of Pennsylvania led even Quaker families to decorate their homes with greens and dine on the bounty of the colonies. 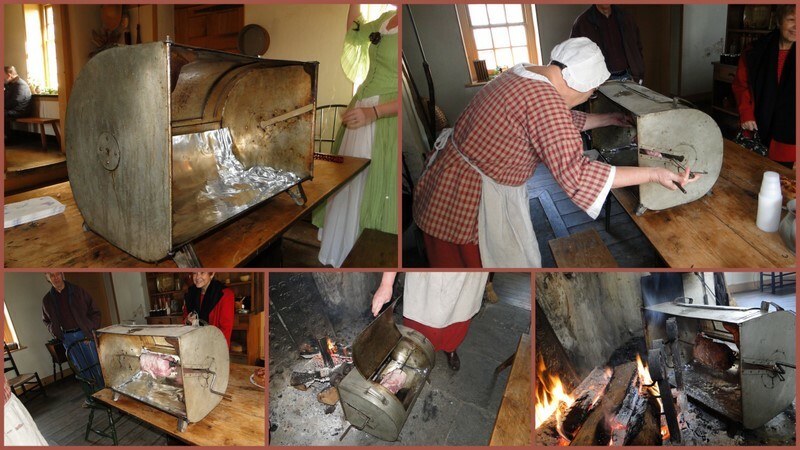 Thirty and forty course dinners in wealthy Philadelphia homes were not uncommon by the 1770’s. ﻿Thomas Massey, a prosperous self-made Quaker farmer with over 300 acres,would have celebrated Christmas in a restrained manner in these early years (17th century) of the colony. 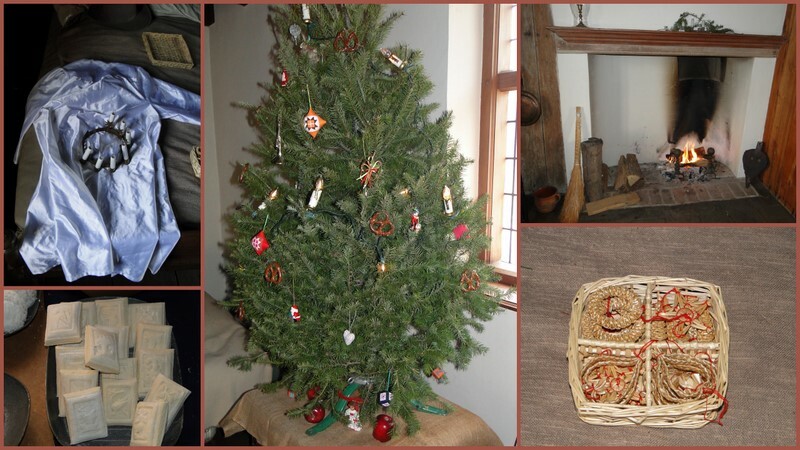 At the recent (11 December 2010) Christmas reception at the Thomas Massey House – a Pennsylvania Historic Site – the variety of holiday traditions in colonial Pennsylvania was celebrated – minus the thirty course dinner. Quaker simplicity is evident in the sparsely furnished and decorated sitting room. Dried fruits and gingerbread were both seasonal luxuries and celebratory foods. 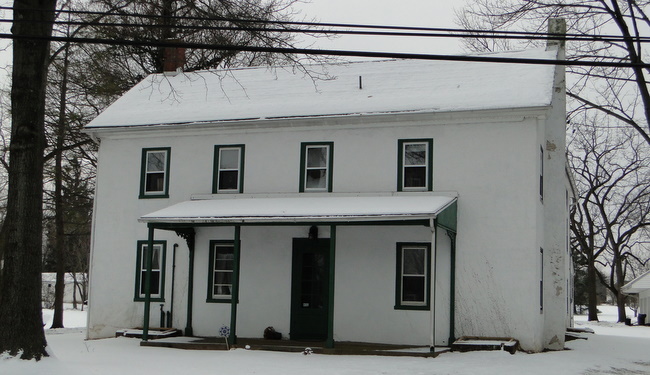 On an original William Penn land grant, Richard Wall began construction on his house in 1682. Like all surviving houses from this era, additions were numerous. Even though both the Wall and Massey houses remained private residences for over 250 years, major structural renovations seem to have ceased by the early 19th century. 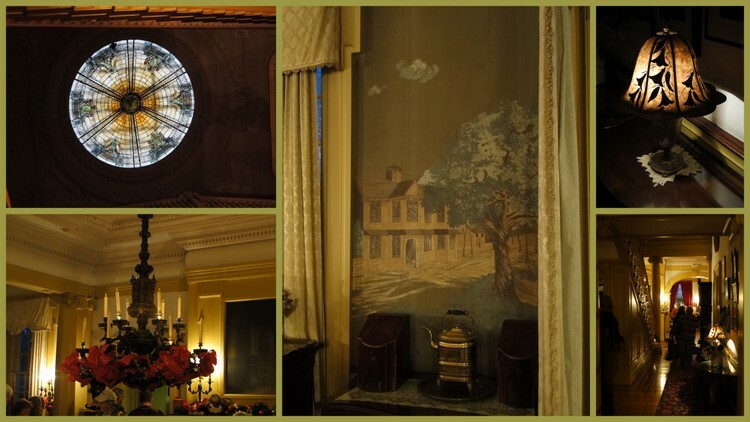 As a house museum, the Cheltenham Historical Society interprets the interior of the Wall House to reflect the changing taste in furnishings and fashion during 250 years as a home and the events that shaped the lives of the residence. The parlor is Victorian with early crocheted decorations (center). A room devoted to World War II memories displays a field hospital “tree” decorated with blue and white ribbon, paper and painted tongue depressors (left). 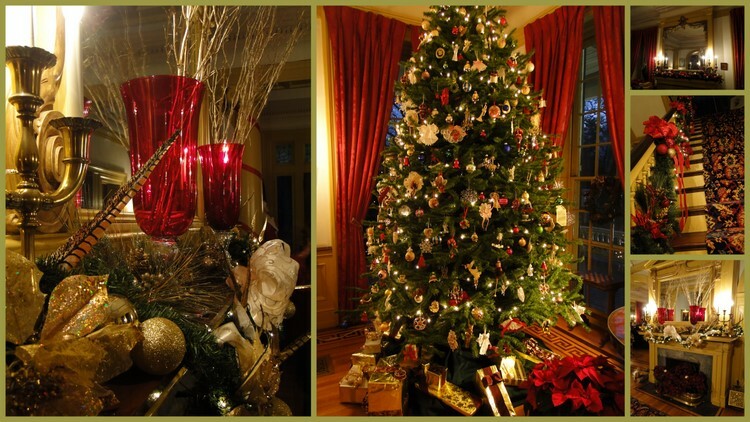 The entrance tree is aglow with 19th and early 20th century German glass ornaments (right). The Wall House kitchen contains an extraordinary collection of 18th and 19th century tools and well as a well restored hearth. 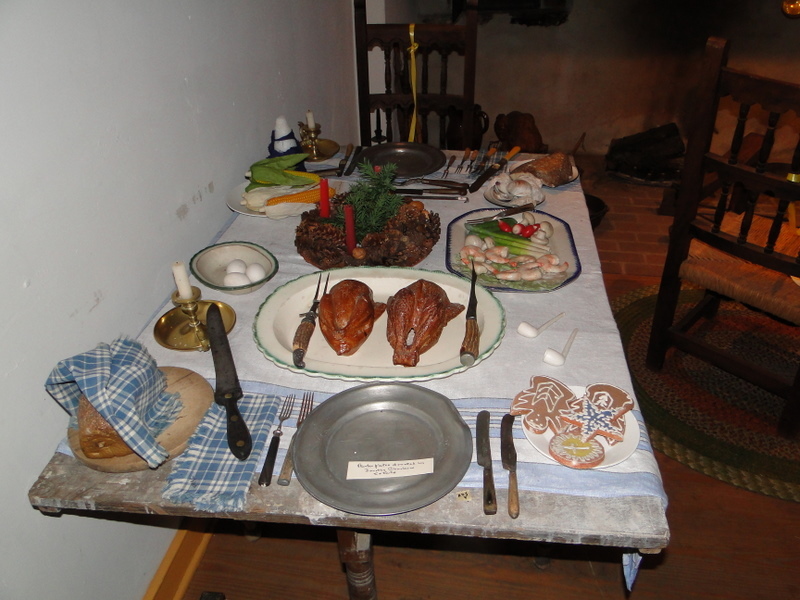 In honor of the season, the table was set for Christmas dinner in true 18th century fashion – all the dishes on the table at once. 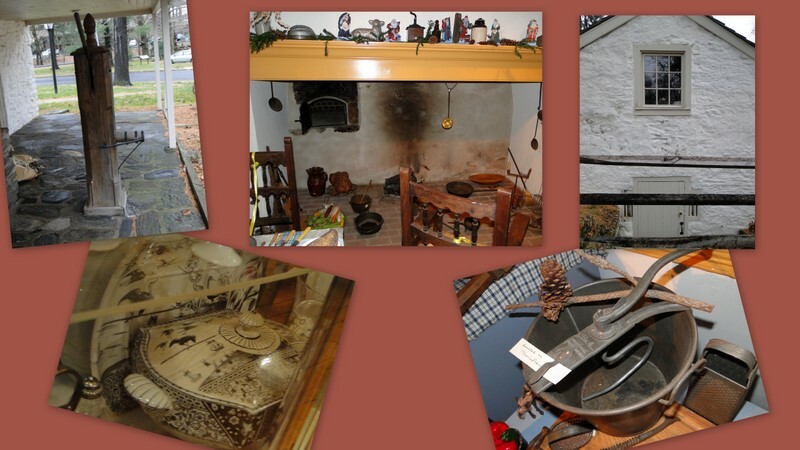 Having served as a Quaker Meeting House in its very early years, a stop on the Underground Railroad, and the home center of the Shoemaker-Bosler Mill complex until the 1920’s, the Wall House reflects the human stories that are history and displays with great care the objects of everyday life. Today, toys are always Christmas, although not in Colonial times. 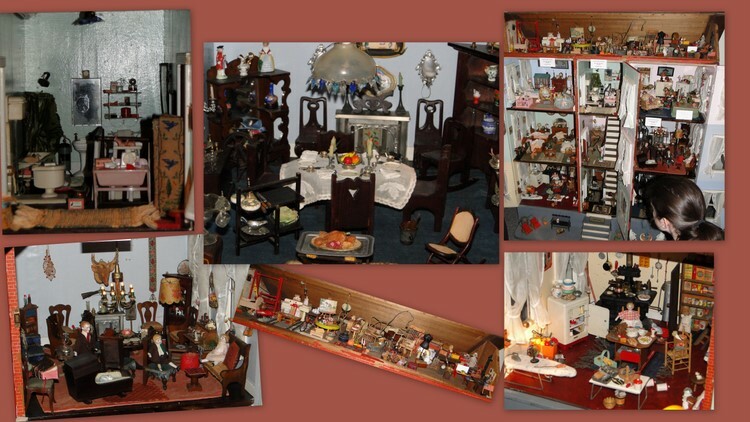 Among the many everyday treasures at the Wall House is a stunning 5 foot tall, 9 room doll house. Constructed in 1915, furnishings were painstakingly assembled over the next forty years. 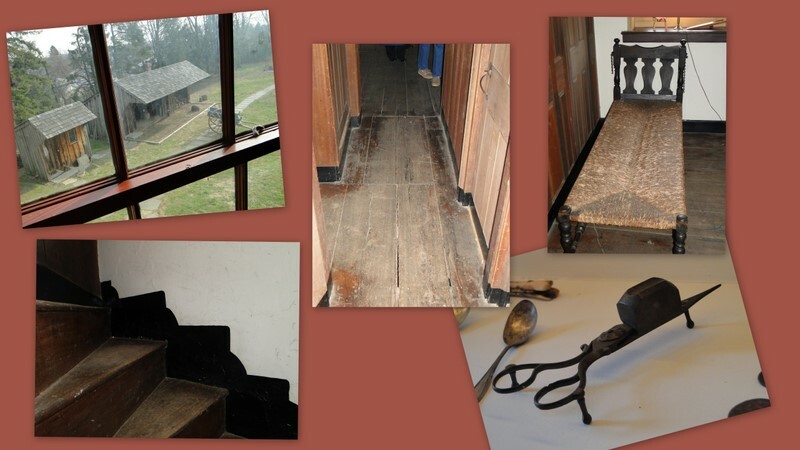 Nearly everything within the house was hand-made or adapted. Miniature electrified chandeliers glow, a sub-miniature electric train operates and even an attic is appropriately cluttered including a discarded toilet. 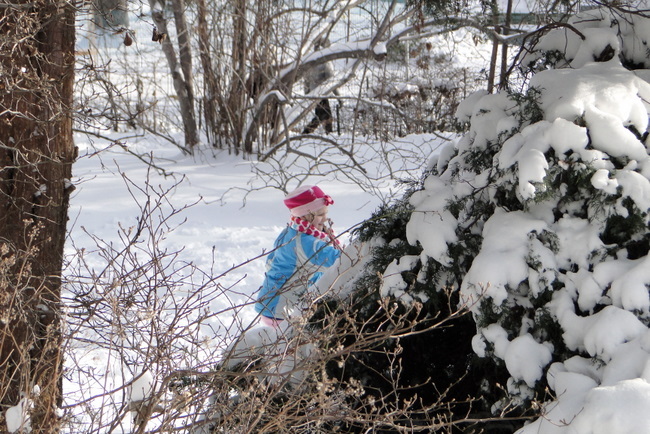 It’s awesome whimsy – just the spirit Christmas is supposed to generate. 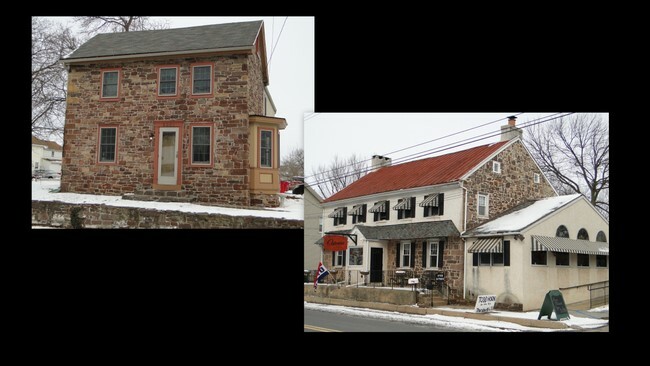 The Wall and Massey Houses prove that in Pennsylvania we have been enjoying that spirit for centuries. 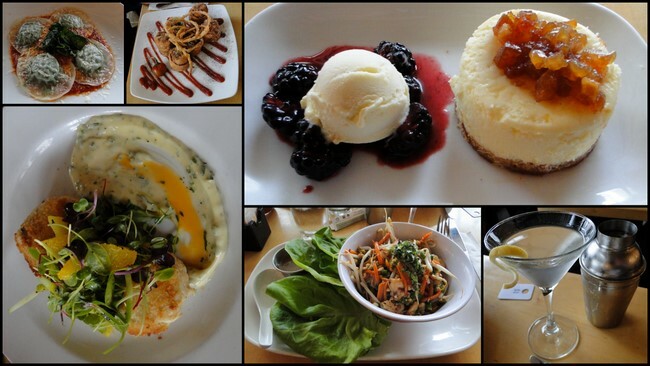 Good food and good tools – a chef’s first love. To wander and discover – a travel writer’s first love. 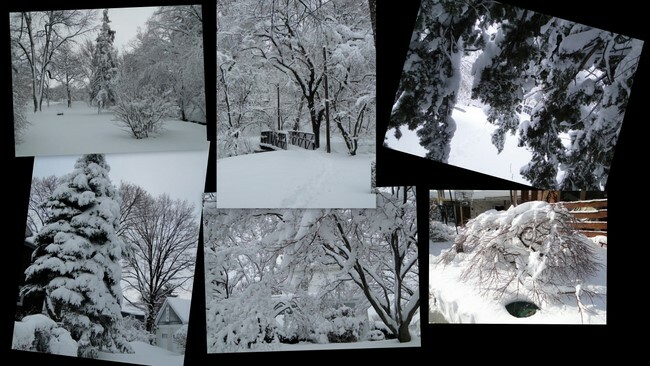 To experience it in your own back yard – nice. 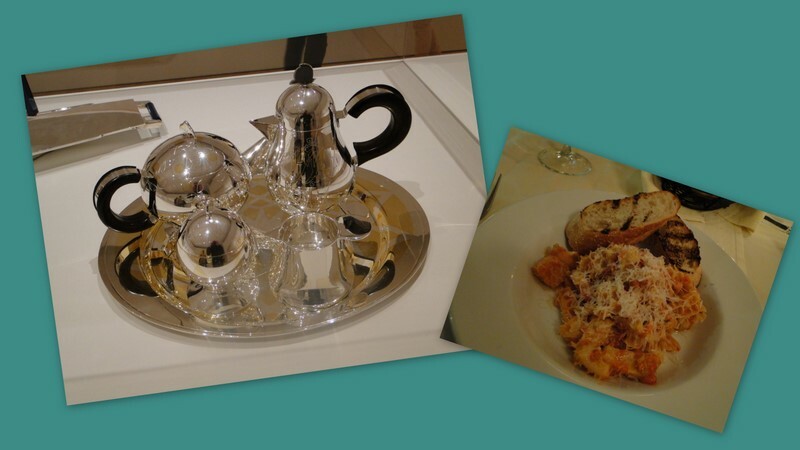 Italy is indisputably a preeminent center for design be it clothing, jewelry or kitchen tools. The Philadelphia Museum of Art’s current exhibition: Alessi: Ethical and Radical, is a virtual catalogue of Alessi kitchen design over the past 75 years. It’s quite literally the catalogue if you browse both the exhibit and their website. 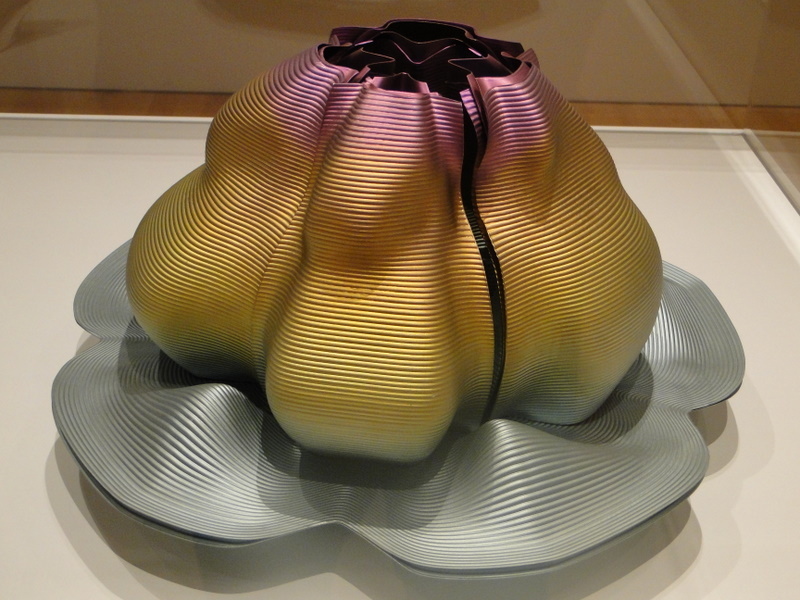 Currently operated by the third generation, the family owned Alessi Design Factory is a major supplier of restaurant small ware, home kitchen tools, home and office decor, but it’s the designs and the company’s philosophy that the exhibit in the Perelman Building is celebrating. From the simplest restaurant coffee pot to partnerships with some of the world’s foremost designers, artists and architects, Alessi has consistently striven to explore the boundaries of form while not compromising function or quality. 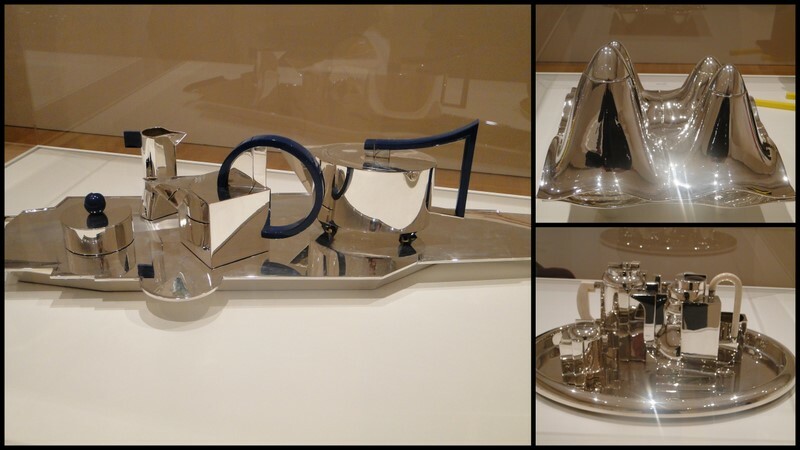 Although the titanium tea and coffee set could be mistaken for a sculpture, it is a functioning service. Alessi is renowned for seeking out artists world-wide and devoting financial resources, space and time allowing them the freedom to create. Philadelphia architect Robert Venturi’s tea and coffee service for Alessi (see picture at top of post) combines spherical form, classic colonial elements and Philadelphia’s own silver tradition. 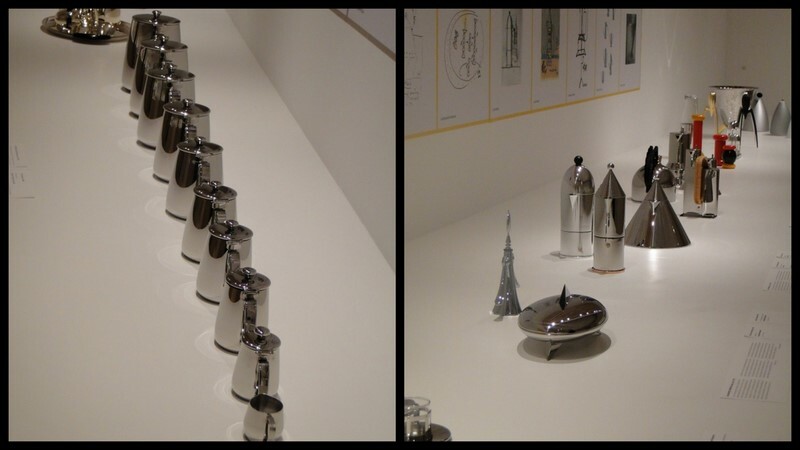 The whimsical and the practical are both well within Alessi’s vision. 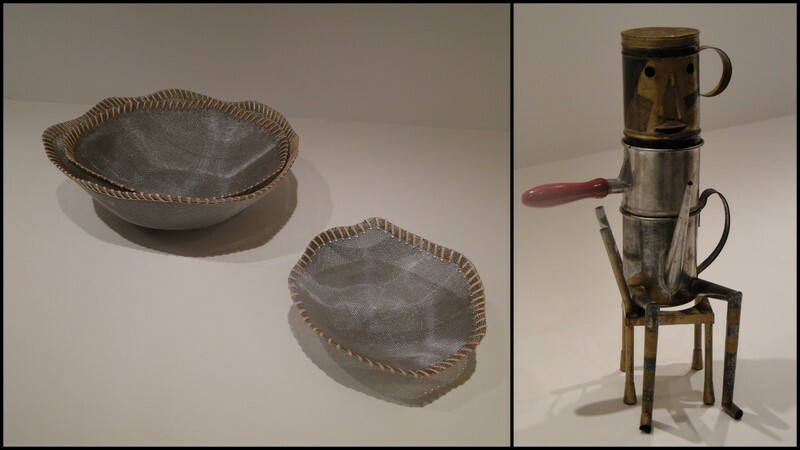 The simple Brazilian designed wire baskets with leather binding and the amusing coffee pot show off this side of the line. 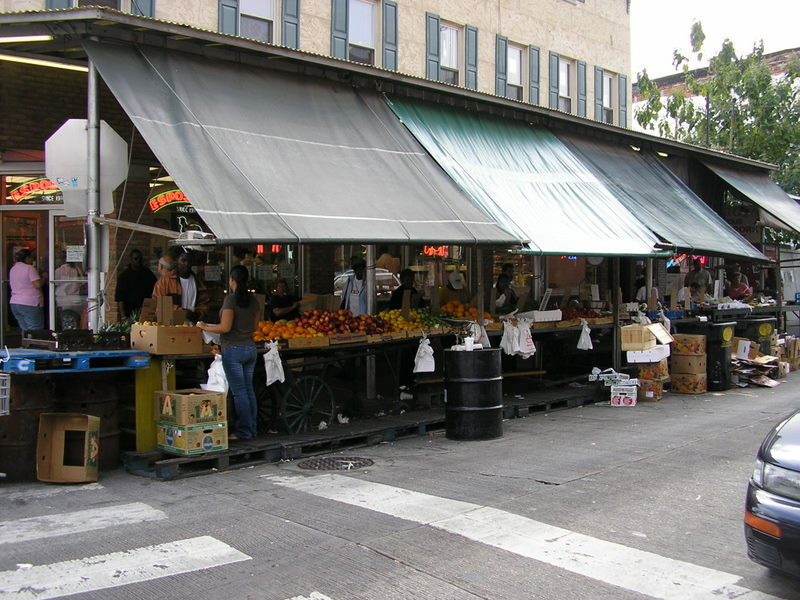 Since the Industrial Revolution in the mid-1800’s, South Philly – the area bounded by South Street to the north, the Delaware river to the east, the Schuylkill River to the south and Broad Street to the west – has been Philadelphia’s own Little Italy. It’s a compact, densely populated area of neatly maintained row houses, small shops, churches and Union halls. Cars tend to park where ever it’s legal, which seems to be places I’d never suspect. Although much of the heavy industry that first attracted immigrants to the city has vanished, South Philly is still a center for food markets – the famous Italian Market – fabrics and Italian restaurants. 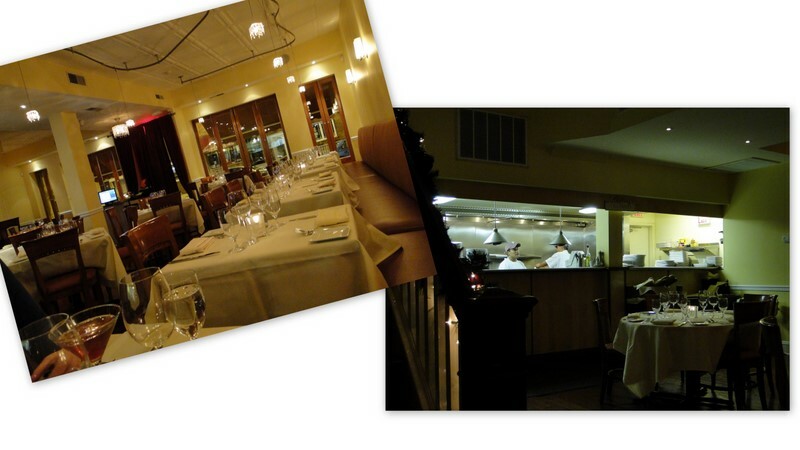 Paradiso Restaurant & Wine Bar at 1627 East Passyunk Avenue, near Tasker Street, is in the heart of South Philly. I was not familiar with the restaurant, but we wanted to eat in the middle of the neighborhood, and we were not disappointed. Early on a Sunday evening, having a table without a reservation seemed fine, but counting the number of regulars, I’d recommend reservations any other night. At less than ten-years old, Paradiso is not a South Philly institution allowing it the freedom to combine tradition with innovation. Chef/owner Lynn Marie Rinaldi’s Rice Pudding ($8.50) with dried sour cherries, cinnamon and vanilla beans, is an award-winning (Philadelphia Magazine 2005) perennial favorite, and if I can believe our server (her brother) the Braised Tripe with Fresh Tomato and Parmigiano Reggiano ($8.50) was their South Philly grandmother’s recipe. 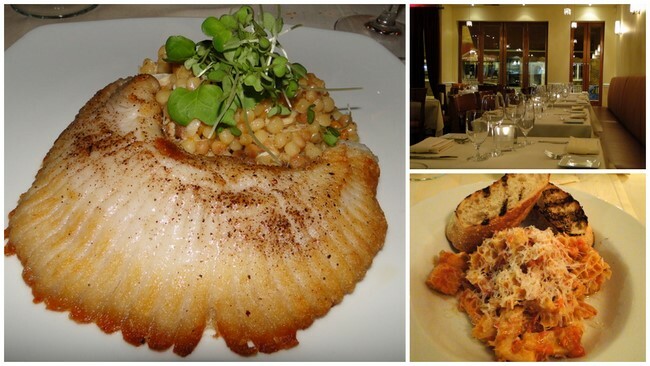 The Seared Skate accompanied by Fregola Sarda with lump crabmeat ($22.00), is not a South Philly regular – or even a Philadelphia regular – menu item. Skate is the tender wing of this ray fish and enjoying its natural butter-softness with Paradiso’s well seasoned searing was a rare delight. Fregola Sarda is Italian couscous made by a time-consuming process of rubbing tiny grains of semolina together with a bit of water and toasting them, repeating until you end up with tiny toasted pasta balls that are the size of Israeli couscous – not the tiny Moroccan. 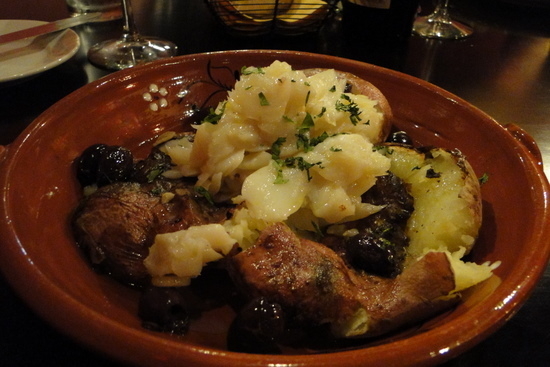 Paradiso made it an opulent side dish with the addition of crabmeat. 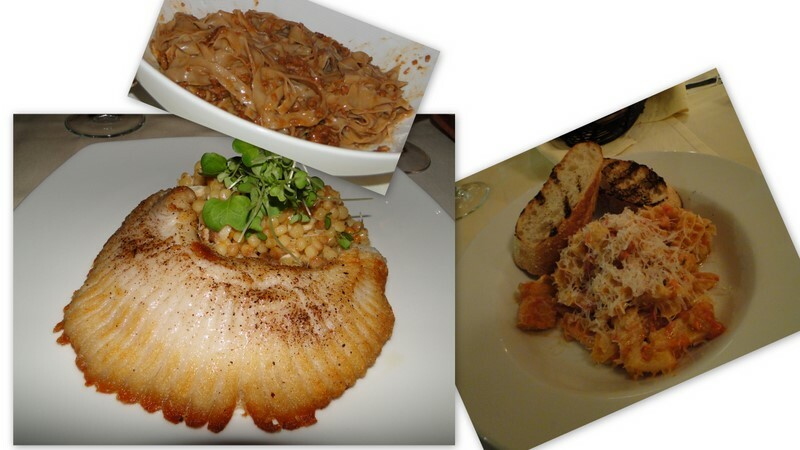 We had not seen Fettuccine with Wild Boar Ragu ($17.00) on a menu since a trip to Siena several years ago. This rich, earthy pasta dish is perfect for winter time, and Paradiso gilded the recipe by adding ground chestnuts to the pasta dough. Paradiso has an extensive wine list, yet on Sunday patrons may BYOB. 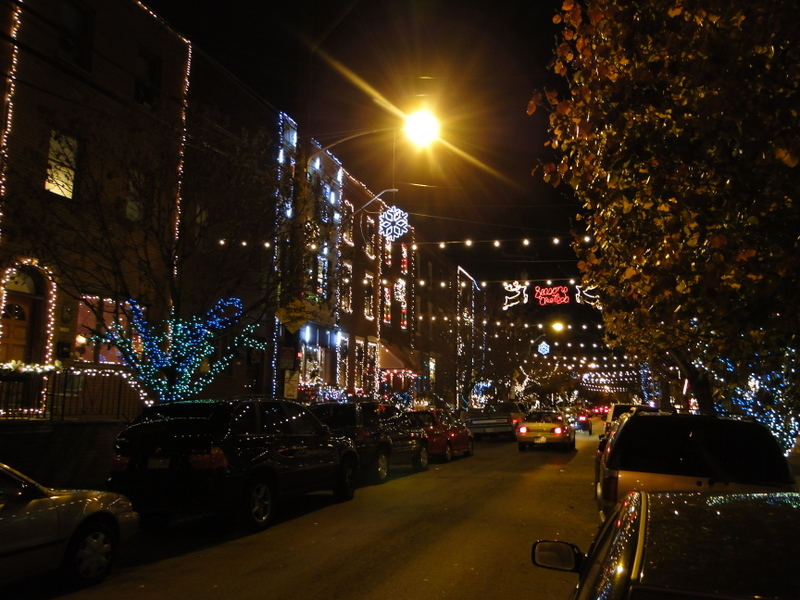 13th St. near Tasker St.
South Philly celebrates Christmas with exuberance. 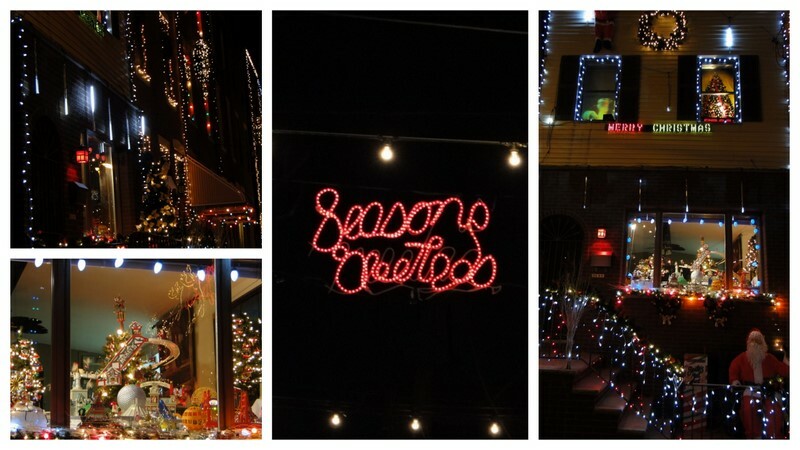 Entire blocks compete for decorating honors and the bakeries overflow with Italian treats. It’s not too early to order your pig, that whole pig, at Cannuli’s in the Italian Market. And little rivulets from the rocks add beauty to my grove. It’s Friday evening and we’re sitting on the great marble staircase having a drink and listening to jazz at the Philadelphia Museum of Art’s Art After Five. Stepping out into the courtyard, the city at night glitters and hums like an urban engine. The following day, we leisurely stroll down Forbidden Drive in bucolic Valley Green after having lunch in an 1850 Inn. 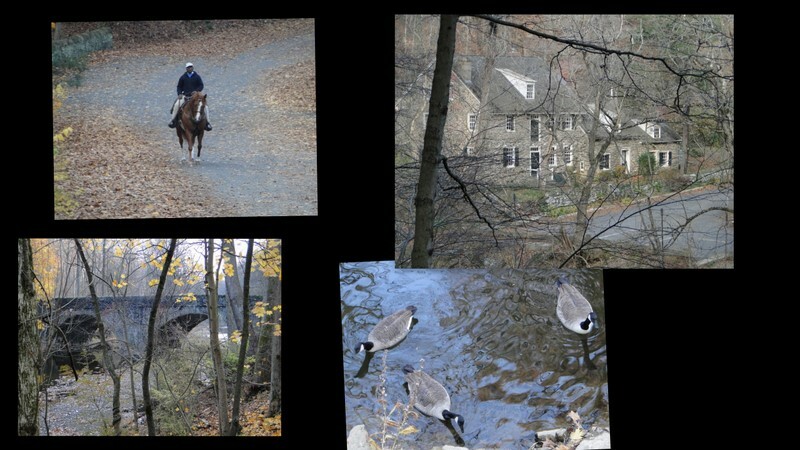 Mounted horses pass at full gallop and geese float down the Wissahickon Creek. We’re still within the city. Like all great urban centers, Philadelphia is a city of neighborhoods. 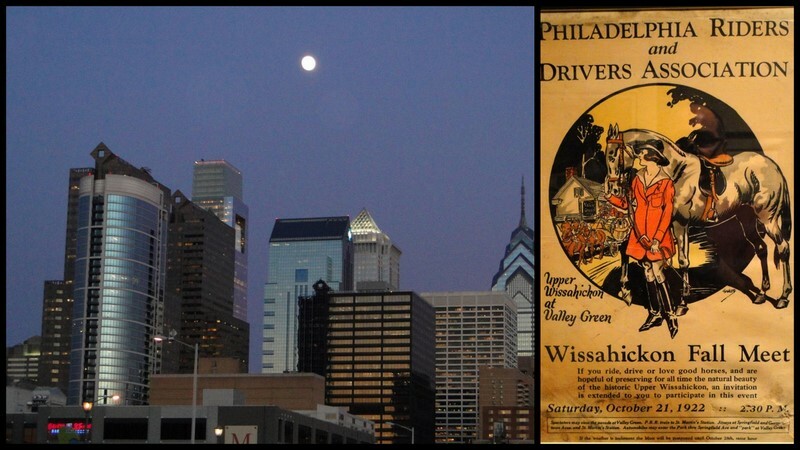 Like all great cities, these neighborhoods evolve, and so it is with William Penn’s original square mile city of Philadelphia as well as leafy Chestnut Hill/Valley Green. The future doesn’t always preserve the past, and sometimes that’s good. William Penn’s original square mile city, bounded by the four squares of Rittenhouse, Washington, Franklin and Logan, still retains an orderly grid. The absence of a glass and steel jungle blotting out the sun, and the presence of 300 year old alleyways lined with colonial houses allows Philadelphia to feel like a home for humans, rather than just an economic engine. 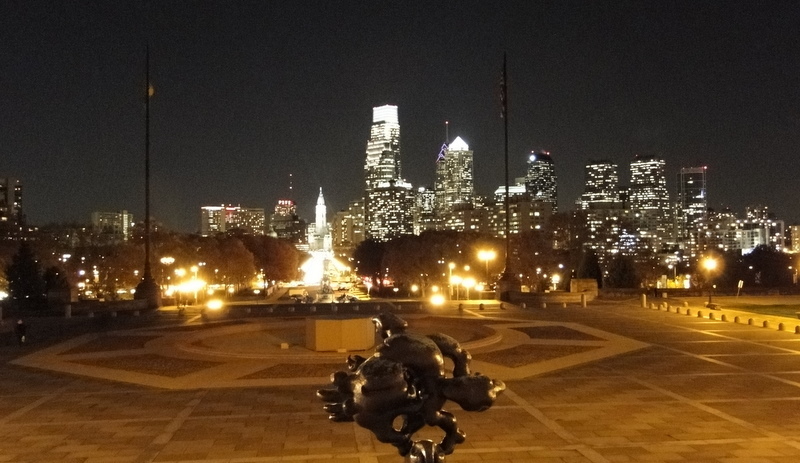 Visionary city planners as early as the late 1700’s designed the grand boulevard, the Benjamin Franklin Parkway, that stretches from City Hall/Logan Circle to the Art Museum. It’s hard to experience a finer entrance to a city than the tree-lined, flag bedecked, fountain anchored Parkway. Its space, like a giant front lawn, is shared by commuters, strollers, special events, runners, frisby players, three generations of Calder family sculptures and many cultural institutions. Yet one square mile Philadelphia was an urban economic engine in the 18th and 19th centuries with all the accompanying issues of pollution, muddy streets, poor sanitation and summer “fever” epidemics. The 1920’s Greek temple that is the Philadelphia Museum of Art stands, appropriately, on a hill at the far end of the Parkway. Its galleries contain priceless collections spanning millennia. 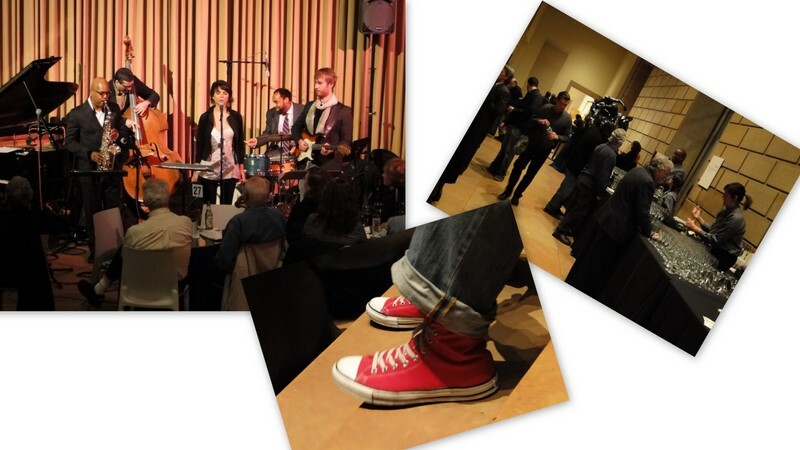 Music and social events are not new to museums, but Art After 5 (every Friday from 5:00 to 8:00) has become a fixture in Philadelphia’s “TGIF” venues. There are a limited number of tables that fill quickly but sitting on the smooth marble of the grand staircase, under the gaze of an enormous backlit “Diana,” creates an amphitheater feel. The central hall rises up one floor to a broad mezzanine where it’s possible to sit as well. 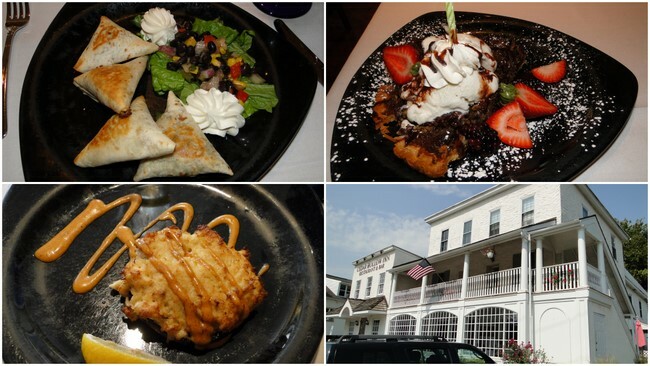 Two full service bars and a professional, personable wait staff serve light fare and drinks. It’s an informal, club atmosphere and people wander through the adjoining galleries while the music filters in as doors open adding to the visual experience. 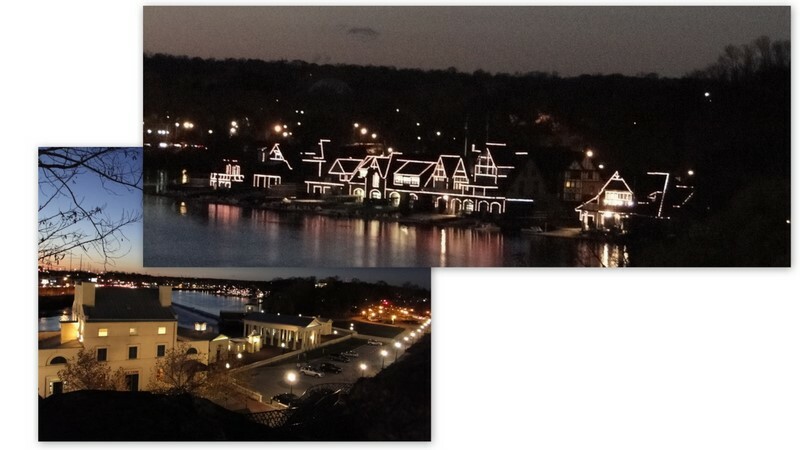 From the gazebos that sits on a rocky promontory outside the museum there’s a nice view of the Waterworks and Boathouse Row. An engineering marvel when it opened in the early 19th century, the municipal Waterworks pumped fresh Schuylkill River water directly into an ever-expanding city. Today its restored buildings house a pricey restaurant, small museum and provide public space as part of Fairmount Park. Boathouse Row stretches just beyond. This collection of late 19th century stone and wooden houses represent generations of private university associated sculling clubs. Although the sport is often thought of in the same league as polo, dressage and fox-hunting, the skill necessary to compete in sculling is achieved only after arduous physical training. In Philadelphia, it’s a serious sport. The 1740 Livezey House has that stately look of so many of the well-preserved antique houses in Valley Green and the neighborhood of Chestnut Hill. 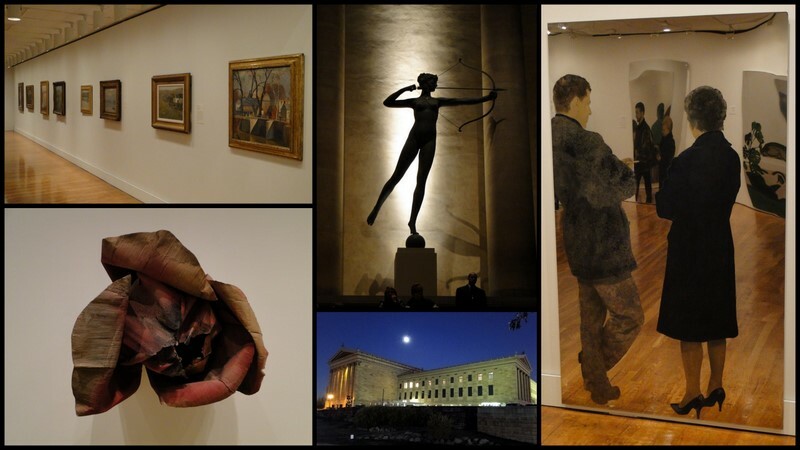 From the Art Museum it’s possible to hike or bike the five miles on trails that meander through the thickly forested Park, along the river and creek, directly to Valley Green and Chestnut Hill. Yet except for the pre-1870 houses, little of this countryside was bucolic as late as the 1870’s. The banks of the Schuylkill River and Wissahickon Creek had been denuded of trees for nearly 200 years and over built with a series of small company towns while its polluted waters were harnessed to provide energy for the mills that were part of Philadelphia’s economic engine. Mr. Thomas Livezey made a nice fortune from his Wissahickon Creek mill but his surroundings were certainly not as attractive as today. It was the threat to Philadelphia’s drinking water that spurred the building of the long-planned 9,000 acre Fairmount city park. Its serpentine shape deliberately included both the Schuylkill River and Wissahickon Creek within its boundaries. Gone were dozens of Colonial and early 19th century mills, houses and entire small company towns. 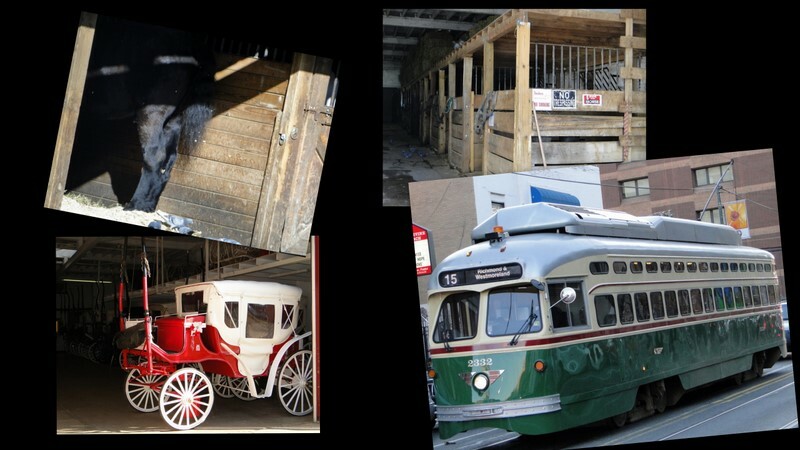 The Park-owned historic Rittenhouse Town is an exception and provides a glimpse of life when it was a company town/suburb to Philadelphia’s one square mile city. Yet since the town’s business was paper making one can be sure few trees existed when it was purchased by the Park Commission in the 1870’s. 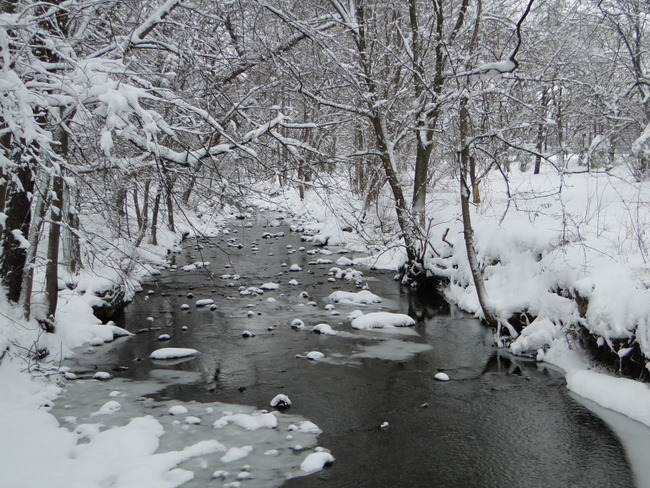 Restoration of the watershed, over a century later, is still ongoing. These generally affluent neighborhoods today have the look and feel of story book versions of leafy, bucolic Colonial villages, and yet they’re within the bounds of a 21st century city. 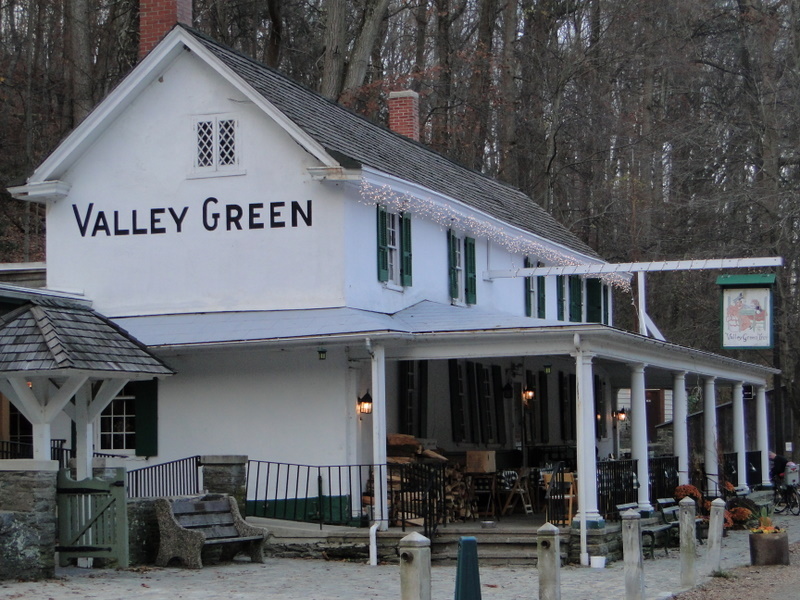 The Valley Green Inn on Forbidden Drive (cars were banned in 1920) has been open since 1850 but with a checkered history. In the past few years it seems to have secured its future as a venue for fine interpretations of classic American and Continental fare. 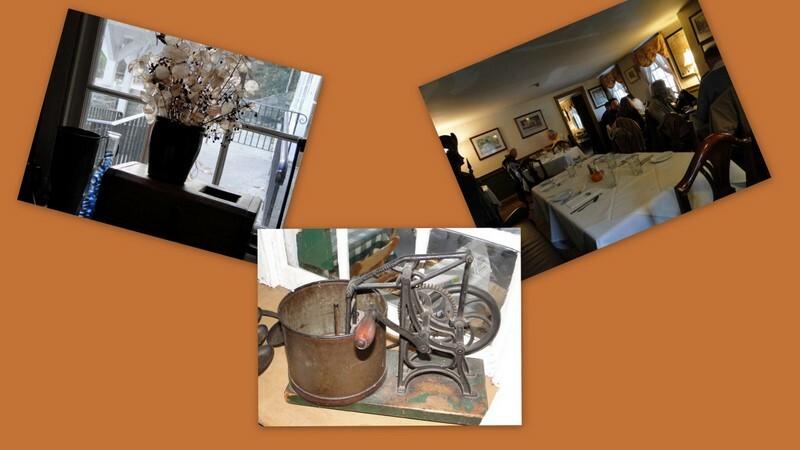 It’s setting directly on the Wissahickon Creek with its antique decorated dining rooms make it an ideal venue for any occasion. There’s nothing better than taking a walk along the 7-mile Forbidden Drive after lunch nearly any time of the year, and if you’re riding your horse, you can still hitch it to the posts outside the Inn.